Emipipe PPR Male Union are available in different pressure rating according to the working pressure and temperature purposes. 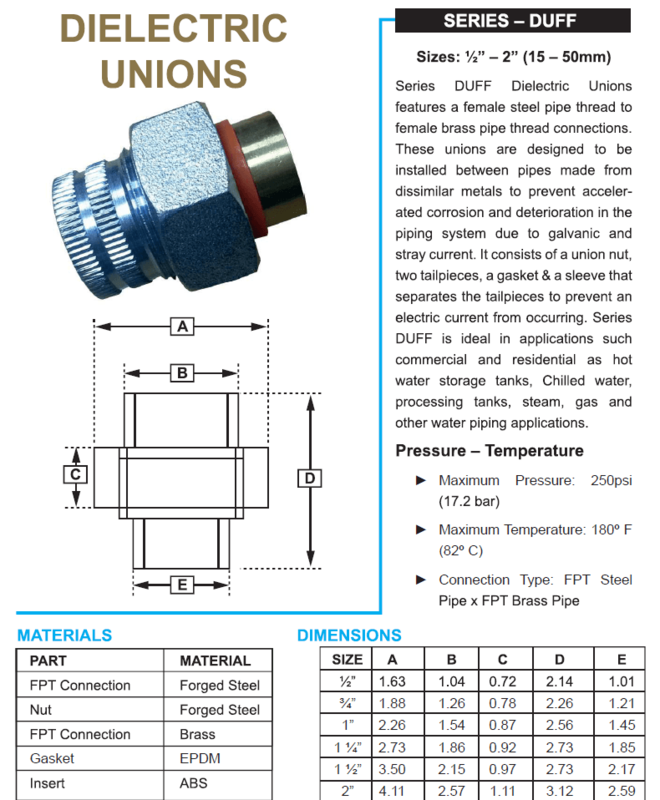 DIN 16962 : Pipe joints and elements for PPR pressure pipes. Choose an option20 x 1/2"25 x 3/4"32 x 1"40 x 1 1/4"50 x 1 1/2"63 x 2"
Emipipe PPR Male Union used as a concealed network inside bathrooms & kitchens. In addition, as raisers from the roof water tanks through the shafts connected with loops above the false ceiling. Also, inside baths used as hot and cold water rings connected by pipe-in-pipe system (PEX) to the sanitary wares faucets. PPR Male Union made of Polypropylene random co-polymer Type 3 pipes and fittings used for hot and cold water supply networks, meets and exceed internationally recognized quality and dimensional specification. ANBI Group is one of the largest distributor, retailer, wholesaler and supplier of Empipe PPR Elbow in Dubai, UAE. 20 x 1/2", 25 x 3/4", 32 x 1", 40 x 1 1/4", 50 x 1 1/2", 63 x 2"